Mark Ragan’s Confederate Saboteurs does a wonderful job of shining new light on the extraordinary steps that the government in Richmond, and more importantly the inventive men from all over the seceded states, were willing to take to win independence. These men were literally risking their fortunes and their lives, possibly only for a bounty. He does an excellent job tying together the work of E.C. Singer [related to the sewing machine family] and his torpedo engineers starting out in Texas and the persistent men were critical in the investment, development, and manning of submarine Hunley. Knowing the work of Matthew Fontaine Maury, Isaac Brown, Robert Minor, Hunter Davidson and others in the Confederate Navy headquartered in Richmond in seeding the James River with electrically-detonated mines [called torpedoes at the time] and the roads leading to Columbus, Kentucky early in the war, I was surprised at the advances Singer and his men made in developing better contact mines. While Ragan does not clearly identify why senior Confederate Army officers such as John Magruder and P.G.T. Beauregard had such a strong and continuing interest in irregular warfare, particularly the use of mines, the implication this reviewer drew from this was that they faced increasingly desperate circumstances. This was certainly true later in the war, but there were other reasons. Magruder’s brother George was a senior officer in the Union Navy, chief of ordnance and hydrography, before he resigned his commission. He was certainly familiar with the keen interest of some civilian secretaries, such as John Y. Mason, [but not shared by a host of senior officers] in mines to defend harbors as the Russians did in the Crimean War. Since both men were assigned to Washington sharing insights would not be out of the question. The Magruders were also friends with Maury, who certainly kept abreast of developments in this arena. He later brought that knowledge to the Confederacy in posts in Richmond and London where he continued to work with some of Great Britain’s leading physicists. There was also the formal relationship between Maury and George Magruder: As superintendent of the observatory, Maury answered to him. “Prince John” also had Gabriel Rains, the more famous of the “Bomb Brothers,” with him at Yorktown as the Peninsula Campaign was beginning in the spring of 186. Rains almost killed himself during the Seminole Wars planting roadside mines, but he was such a strong advocate for the weapons that he was sent to Yorktown to place the “infernal devices” in the river to deter Union gunboats from operating with the Army on land or destroy transports trying to land soldiers to join the attack. Although John Magruder said that he was not responsible for mining the abandoned fortifications at Yorktown, he certainly didn’t stop Rains from doing so, either. Rains boasted of doing it again in the Confederate withdrawal from Williamsburg, slowing George McClellan’s cautious advance up the peninsula to a crawl through swamps. By then, Magruder was a convert to mine warfare – in all its forms. Although Beauregard was under a cloud from Jefferson Davis’ administration for his performance in Mississippi, he turned Charleston into a cockpit of asymmetric defense during his second tour there. Obstructions, mines and heavy guns to beat down “iron sea elephants,” strong rope lines from land point to land point to snarl screw propellers, submersibles and submarines were his orders of the day. 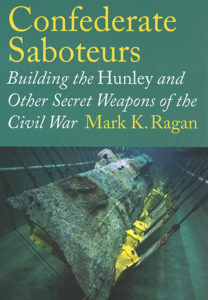 As he did in his earlier work Submarine Warfare in the Civil War and his current work on the Hunley project, Ragan brought great detail and insight into that program. The book would be even stronger if there were detail given on the submersibles – the Davids, also described as “torpedo boats” in a number of Confederate references in correspondence with the Navy and War Departments. Army Captain Francis Lee, Navy Lieutenant W.T. Glassell, Dr. St. Julien Ravenel and Theodore Stoney certainly fit the bill of “Confederate saboteurs” in Charleston’s defense. After all, a David at least once towed Hunley into position for an attack on the Union blockaders and Glassell successfully sent New Ironsides, the largest ship in the Union Navy at the time, to the sidelines for a long repair stint after his October 1863 attack on it. It should be added that Confederate Army commanders such as Magruder, Beauregard, Dabney Maury, and Leonidas Polk were far more willing to work with their Navy counterparts and detailing men and equipment to the fight than was largely the case on the Union side where service rivalry was often the order of the day. Ulysses Grant, William Sherman, Andrew Foote, and David Dixon Porter were the most notable exceptions. The author is to be highly commended for including Bernard Janis Sage’s efforts to systematize Confederate energies in irregular warfare without stifling innovation. While the Davis administration paid him lip service of acknowledgement, he certainly received a far warmer hearing and acceptance at the state level, such as in Virginia, in attempting to create “volunteer navies” overseas. Sage himself went to Great Britain to buy ships and consulted with Maury and Raphael Semmes, commander of Alabama, there about the advantages of sail over steam in commerce raiding and blockade running. The advantage: Not having to find a foreign port to buy coal where a Union warship could trap and sink the raider or blockade runner. 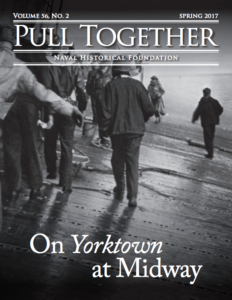 For all interested in the naval aspects of the Civil War, Ragan’s latest book is a must read. Confederate Saboteurs advances not only his work in this area, but puts into new context Alex Roland’s Underwater Warfare in the Age of Sail, published in the late 1970s and Milton Perry’s Infernal Machines, The Story of Confederate Submarine and Mine Warfare, published in the mid 1960s – pioneering works in this field. John Grady is the author of Matthew Fontaine Maury, Father of Oceanography: A Biography, 1806-1873. 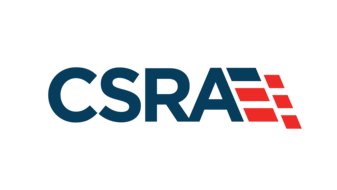 He has contributed to Naval History, the Civil War Monitor’s Front Line series, the New York Times Disunion series and the Naval History and Heritage Command’s Sesquicentennial blog on the Civil War. Often repeated, but incorrect. See _USS New Ironsides in the Civil War_ for more. For contemporary information, details of the damage appear in Carpenter T.H. Bishop to Captain S. C. Rowan, November 24, 1863, transmitted to Dahlgren by ltr dtd Nov 28, 1863, and by Dahlgren to Welles by ltr dtd Nov 30, 1863. Official Records of the Union and Confederate Navies, vol. 15: 17-18. Dahlgren did not recommend her withdrawal until May 1864. Dahlgren to Welles, May 14, 1864, in ORN 15:472.